SAVANNAH, Georgia, October 31, 2016 — Gulfstream Aerospace Corp. today debuted the all-new interior for the Gulfstream G500, revealing a wide-cabin space designed to exceed customer expectations of comfort, connectivity and flexibility. 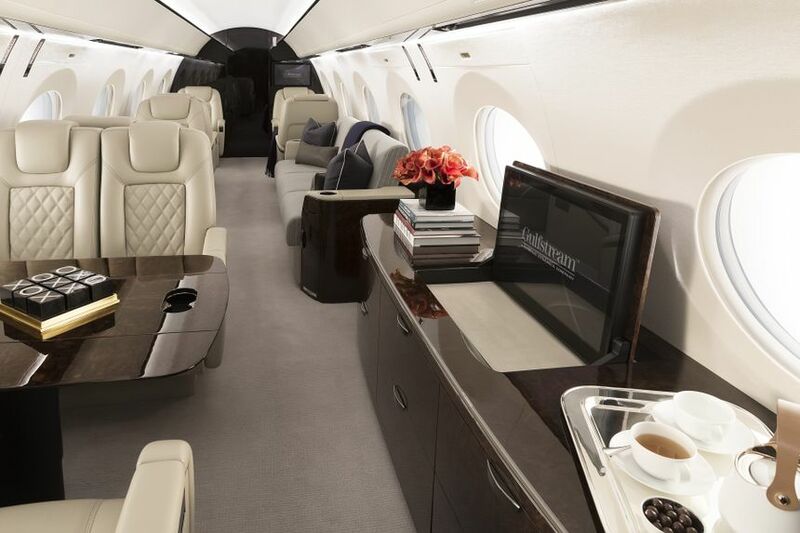 The unveiling took place at the National Business Aviation Association’s Business Aviation Convention & Exhibition (NBAA-BACE), where Gulfstream is showing off the first G500 outfitted production aircraft. The new seat design is one of the elements that has benefitted the most from customer feedback. The seats feature innovative design techniques and ergonomic enhancements that improve comfort and reduce fatigue levels. Customization continues throughout the cabin with a focus on flexibility. The aircraft has forward and aft lavatories and a full-size galley that can be located either forward or aft. The galley features a steam oven as an option, an interchangeable beverage maker and a refrigerator that can be placed above or below the counter, depending on the desire for storage or counter space. Customizable flooring options like stone and wood can be selected for the entry, galley and lavatories. The G500 cabin features three living areas and can seat up to 19 passengers. Passengers can work, dine, relax and sleep while on board. 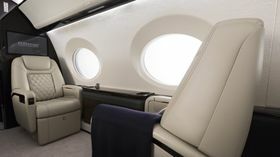 The cabin allows passengers to stay connected through satellite communications and various high-speed internet options, including Jet ConneX, the high-speed Ka-band broadband service. The cabin management system gives passengers control of the lighting, window shades, temperature and entertainment options through touchscreen devices. 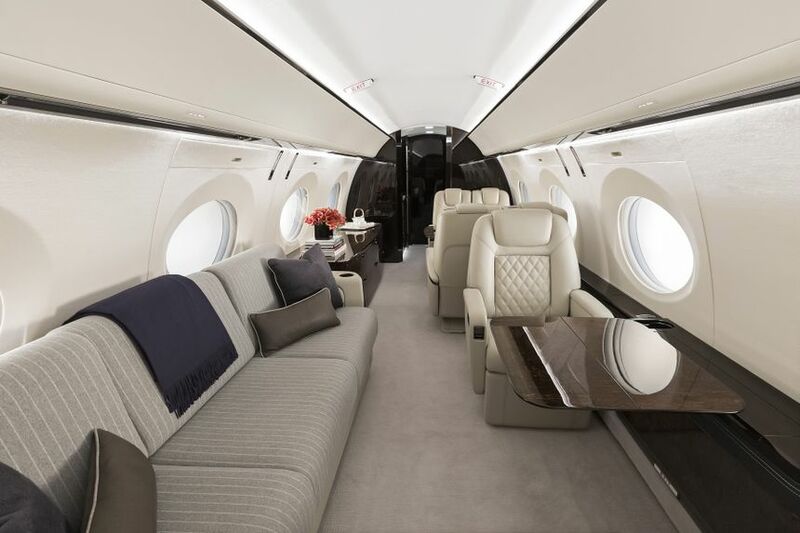 The G500 features industry-leading cabin sound levels, the lowest cabin altitude and 100 percent fresh air that boost mental awareness and reduce fatigue. The G500 will have 14 panoramic windows that allow for an abundance of natural light. The G500 on display serves as the testbed for the G500 cabin. Following completion of the test program, it will be used as a demonstration aircraft for customers and prospective customers.The G500 is slated to receive type certification in 2017 and enter service ahead of schedule in the fourth quarter of that year. 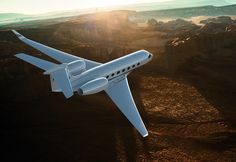 The G500 can fly 5,000 nautical miles/9,260 kilometers at Mach 0.85 or 3,800 nm/7,038 km at Mach 0.90.